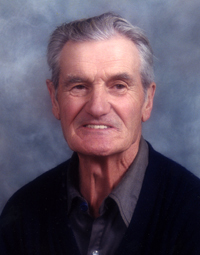 Peacefully at the Morris Hospital in Morris, Manitoba on Sunday, April 14, 2019, Mr. George Arthur Fleury of St. Francois Xavier, Manitoba passed away at the age of 83 years. He leaves to mourn his passing, his sisters: Irene Bouchard (Pierre) and Ida Lachance, sisters-in-law: May Laramee and Florence Fleury, brothers-in-law: Adrien Lachance and Epi Tuliao, numerous nieces and nephews, relatives and friends. He was predeceased by nine siblings: Alfred Fleury (Estelle), Therese Feal (Albert), Elizabeth (Betty) Medynski (Peter), Gertrude (Gertie) Barc (William), Jeanne Kiazyk (Walter), Agnes Tuliao, Alexandre Fleury, Charles Fleury, and Rene Fleury (Anne). Funeral Mass will be celebrated in the St. Eustache Roman Catholic Church on Saturday, April 27, 2019 at 11 a.m. preceded by Recitation of the Rosary and eulogy at 10:30, with Father Michel Nault officiating. Interment to follow in the Parish Cemetery. As an expression of sympathy, memorial donations may be made to a charity of choice.